I got married in the summer of 1995. I guess if I had to answer the question of why, it was because I love my wife and I want to spend my life with her. Marriage was a good way to do that, so we were married. A lot of things were not motives, but became secondary goals. One of which was home ownership. I am glad to say that within 7 months of being married, we made a down payment on our first home. The house was small and needed a lot of work, but it was a great place for the two of us to live, and to begin our family. I say that to say this; Never did our ownership of a home define the validity of our marriage relationship. No one ever questioned us as to why we rented, or wondered if not owning a home would threaten the state of our marriage. As long as we had each other we were happy. Now I am not going to say that I am sorry that we own our home, and that it has been a blessing and a help to our marriage. But on the same notion, I refuse to let our marriage be defined or destroyed by this separate issue. Every time I am around other pastors, mostly those who have mortgages, their first, and it seems their only question has to do with home ownership. "Have you found land?" "How is the search for a building going?" 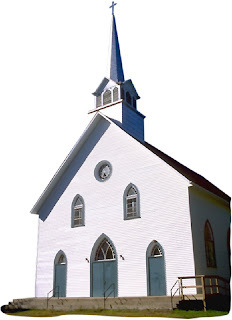 It aggravates me that the perception by most Christians is that having a building defines a having a church. I know that they mean well, and probably pray for me to achieve, but it is really a non-driving force in our church. We are happy to rent. Set up and tear down each week do not compare to the joys of insurance and building maintenance, but maybe one day. Until then we are just happy to be together!